Time elapses and you are Still in the country of “Singles”. You might better understand your kind of Singles and possibly WHY, by reading and selecting your type/s below. Multiple choices allowed. THE PERFECTIONIST – You want the best for yourself and you are looking for Mr. and Ms. Perfect. You have put together a list with all what the man/woman of your dreams has to embody, physically, mentally and emotionally. I also advise you to write down such a list – (As per Happy Divorce!) But there are surely traits of a person and of a relationship which, whether good or bad, come out only at a later stage. There are initial problems which can be adjusted, and wonderful starts which become nightmares! THE BEE – You are not, or never, ready to invest into a relationship and prefer to fly from flower to flower, until spring is over. You do appreciate being free, and find an important person would not fit your present life configuration. THE AVALANCHE – You break into the life of your new partner provoking so many sudden changes, and covering them with so many demands, that they see you as a VDO (Very Disturbing Object) and they walk away. As single parent, this attitude puts children at risk! You come back home very depressed, and again ask yourself why it hasn’t worked this time. Recoil follows, and time to heal the wounds and recharge energy for the next avalanche is needed. THE SLOPPY – You are not doing enough to be attractive, both on a physical and relational level. “We are not all born beautiful and interesting!” and “My future partner must accept me exactly as I am!” are two of your strongest life beliefs. THE OVER-RESPONSIBLE UNHAPPY PARENT – You postpone the fulfillment of your love dreams until you solve some outstanding issues. Issues never seem to decrease in number, though. 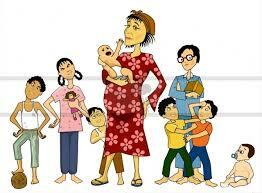 Many single parents have to work harder to pay the bills which normally are shared between two partners. Children take most of your time for activities, education, stand-by, health problems, hygiene, and until they leave home you feel like betraying them if you enjoy life too. THE PLATONIC LOVER – You are not a single at heart, since your heart is taken. The problem is that the person of your dreams is out of reach: he/she is married/engaged, living on the moon – s. VIPs, Celebrities & Co., or it is simply unrequited love. You would like to find someone, according to the principle “one problem drives away another”, but your sensorial and emotional reaction to any approaching real alternative is 0.0. THE LOSER – You have BURDENS, like old parents to care for, lots of children to care for, a bad financial position, which makes you uninteresting to the biggest share of the other gender. You are often caught in the middle of problems which seem to come to no end and, even if your are very positive, very appealing and very loving, you are given almost no chance from the very first date. THE DEMANDER – You have too many expectations. On the other hand, you offer not even the half of the things that you claim from a prospective partner; in the end a relationship has no chance to start or survive the starting phase! You make the other constantly afraid of not being enough, and the idea of having to compete discourages the most. THE AMBIGUOUS AKA THE HAREM KEEPER – You are intelligent, subtle and charismatic. Many fall in love with you. You dominate any prospective partner you come across. You show yourself as available, and unavailable, and available… Your ambiguity and elusiveness offer the best shelter for any inconvenience. You are ambiguous also internally, so that sometimes you cannot REALLY decide whether you are available or unavailable – this is the difference with the Bee. And while you let time decide for you, you accumulate and enjoy a multitude of prospective partners, who are so eager and so incapable to change what indeed might be a lifelong perfect Single condition! THE LONE WANDERER – You need a new life journey after the last break-up or divorce, to identify yourself as an individual and not as one-half-of-a-couple. You need to create a new stronger identity, and the process can last a long time. Eventually, you have got lost in the labyrinth of life, because you are not used to travelling alone. THE LOVER – You have a secret relationship with a married or engaged partner, and you only appear to be single, but…technically…you are not! THE GOLD MINER – You are looking for a partner with lot of money, the one who will pay all your bills, your sports car, your travels, your beauty treatments or whatever you may imagine you desire. You are attracted also by medium wealthy potential partners; the conflict becomes strong when you have to decide whether to commit or not. And of course you do not commit, unless that one has high regular income and a consistent saving account. I have left you alone with the facts, not with the alternatives. It is you who must set your level of comfort or discomfort – it happens when you think and act out of the box! For every problem there is a solution and even more than one! But until you do not see single life as a problem, that is simply no problem at all! No one can come and ask you: “Why are you still single?” 😉 On the other hand, if you are willing to try the route of love, you may want to read “IF YOU WANT YOU CAN FLY: An Inspirational and Motivational Book Coaching Single Moms & Single Dads in their Quest for Love, Happiness and Fulfilling Relationships“.